Do you use Study Island with your students? Our school does and the kids love it! My favorite thing to do is to project the questions on the board with the computer and work on them together, highlighting key information! 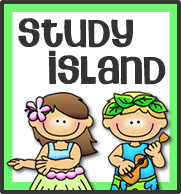 Last night, I wrote to Study Island, telling them I had made a couple of buttons for my students to use to get to the site, from our class blog. Is this something you can use? I hope so!! My school just started using Study Island this year and we just got training on it this week. I am planning on diving into the program this week. It looks GREAT! I think my students are going to love it! Thanks for the button! Just wanted to say thank you so much for your kind comments last night about my dog. I really do appreciate it!! THANK YOU! Yahoo, I would love to put this on my blog, thanks Kristen! 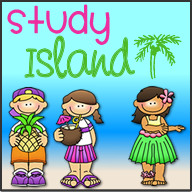 Study Island looks awesome. I'll have to look into it. I want to use it just so I can use those darn cute buttons of yours! lol!